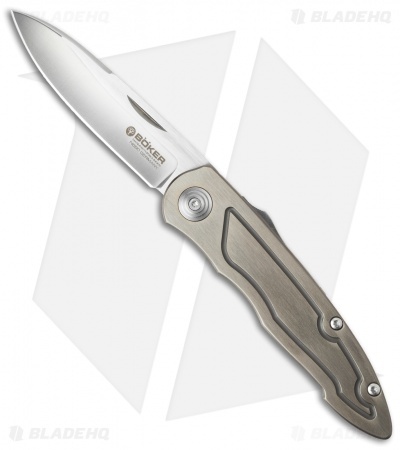 The Boker Merlin Titan is based on the original Merlin gentlemen's knife designed by Wilfried Gorski. This Titan edition features a rugged titanium handle with a CNC milled grip. 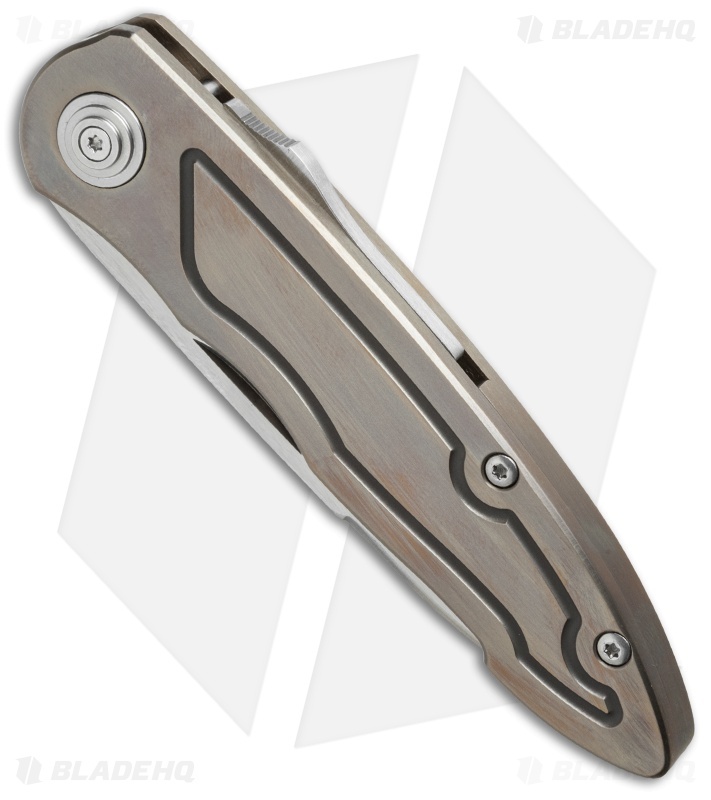 The titanium comes in a rustic bronze finish that adds a collectible appearance to the knife. 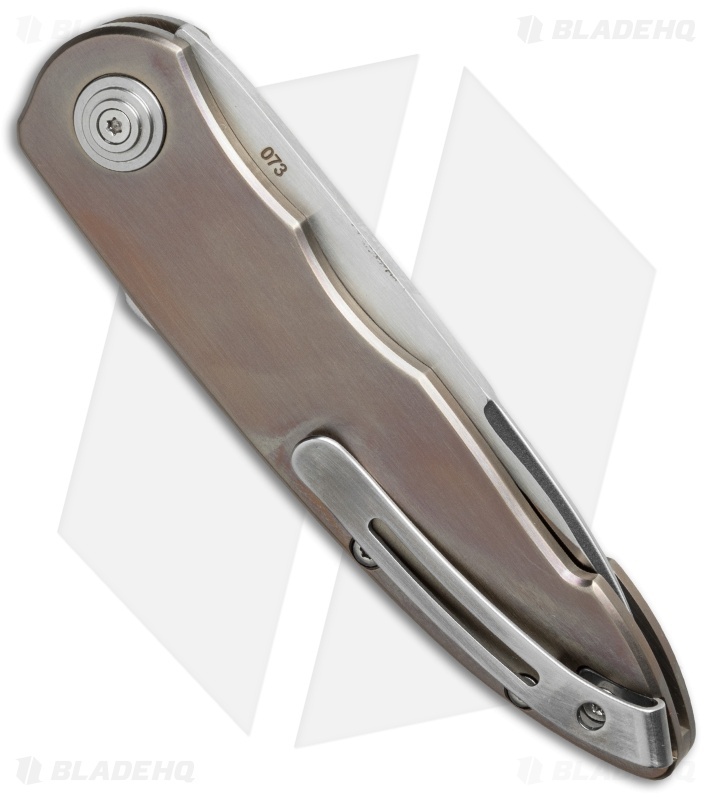 It is equipped with a drop point blade made from Bohler N690 steel in a satin finish. The blade is locked in place with Boker's patented Interlock mechanism for a safe and secure lock. 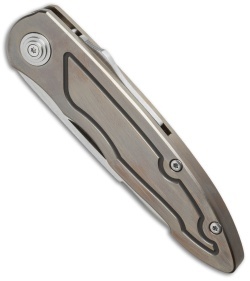 Includes a deep carry pocket clip for tip-up carry.